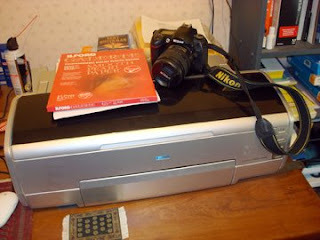 Since I do all digital photography I don't have a darkroom. 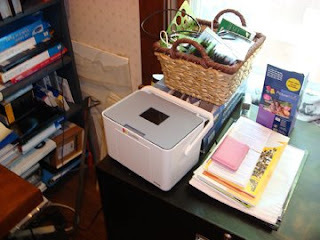 This is my crowded office with my printer and camera that I use. I have to share my tiny workspace with my 17 year old nephew. He likes to play video games and edit videos. It is gets interesting sometimes.